At the Guangzhou Motor Show, Chevrolet unveiled an all-new three-row crossover that looked both familiar and new. While the new crossover resembled the two-row Chevrolet Blazer that has already gained popularity in the States, the new crossover boasted an additional row of seating. Now we have confirmation that the concept will soon become a reality, and we have a name for it: the 2020 Chevrolet Blazer XL. While the three-row Blazer XL will be available in China starting in 2020, it leaves plenty of room for speculation about a forthcoming US variant. The all-new Blazer XL might look simply like a Blazer with an extra row of seats, but the Blazer XL is actually 5.5 inches longer than the current 2019 Blazer. 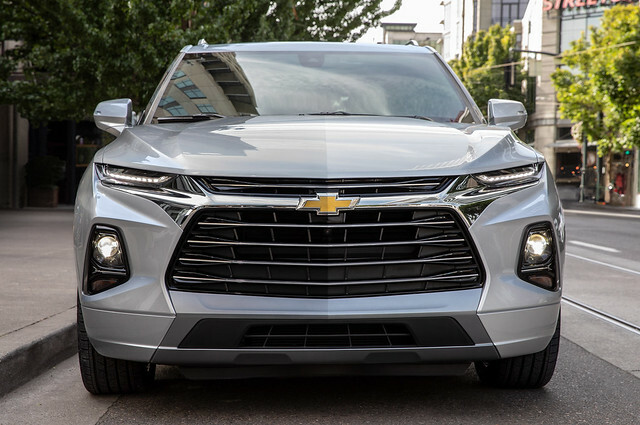 Although Chevrolet already has a three-row SUV in the form of the Chevrolet Traverse, the Blazer XL serves as a middle ground, offering three rows of seating without being as large and bulky as the Traverse. The Blazer XL answers the call for a downsized three-row crossover that doesn’t give up too much interior space making it the perfect SUV for the Chinese market, where the Traverse isn’t sold because of its large size. We hope to have the Blazer XL at Bradshaw Chevrolet when and if it becomes available in the United States. For now, check out the 2019 Blazer and 2019 Traverse here at Bradshaw Chevrolet.